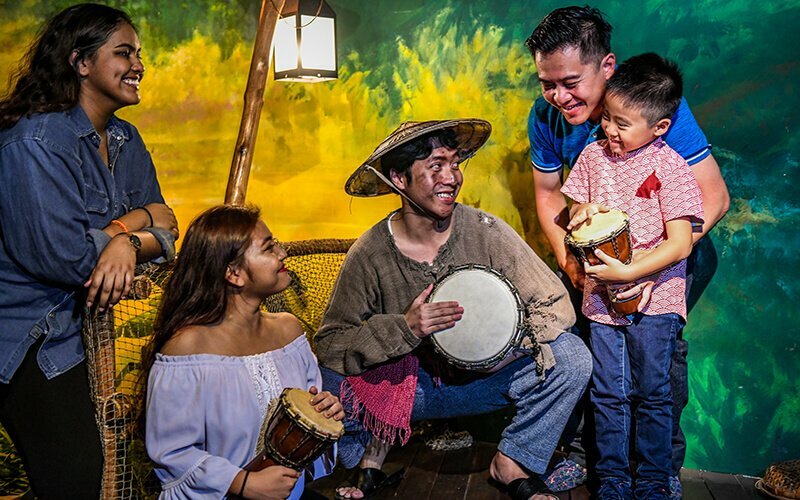 Featuring a mix of stationary and interactive figures, Madame Tussauds Singapore brings London’s favourite exhibition to the sunny shores of Singapore. Guests can walk the red carpet and alongside award-winning actors like Brad Pitt, grab a mike and sing along with Beyonce and Taylor Swift, and even be seated beside some of the most influential world leaders like former US President Barack Obama and Singapore’s Prime Minister Lee Hsien Loong. In addition to its wax museum, Madame Tussauds is also host to Images of Singapore, a 40-minute journey into Singapore’s history as it evolved from a fishing village to the metropolis it is today, and the Spirit of Singapore Boat Ride that takes visitors through a sensorial tour of Singapore’s attractions.